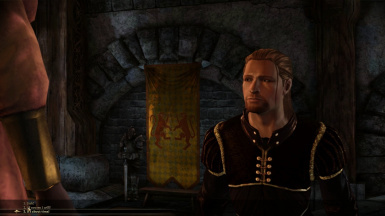 This mod allows Alistair to ask for the Warden\'s hand in marriage during the post-coronation ceremony. This scene is triggered if Alistair is King, is engaged to PC, and is in love. 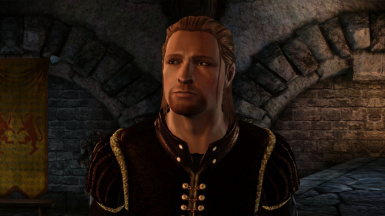 This mod allows Alistair to ask for the Warden's hand in marriage during the post-coronation ceremony. This scene is triggered if Alistair is King, is engaged to PC, and is in love. There is an optional clothing file that changes Alistair's or the Warden's clothing during the post-coronation ceremony. If no clothing file is selected, their default armor will be shown. ****NOTE***** If you have the Warden's Funeral Kiss mod and the optional clothes file from that mod, you won't need to download this optional clothes file. It is the same file. This mod overrides epi300ar_post_coronation.ncs, epi_alistair.dlg, and epi_alistair.dlb, so if you have any mods that modify these files, it will be incompatible with this mod. If there are any issues with this mod, i.e. not triggering, animations off, or anything like that, please let me know.